RuneScape's 200th quest – Dimension of Disaster - is almost upon us, and it's high time to celebrate. Welcome to Questival: our two-week questing extravaganza! This week, we'll be focusing on all the 199 amazing quests already released in RuneScape. So, prepare for competitions, chances to ask your most burning quest questions, and events galore! Here's a quick run-down of some of the most important quest stats for the 199 quests to date. What is RuneScape's Greatest Quest? Want to win one of seven exclusive, signed, framed pieces of 200th Quest art? To win this amazing prize - as well as a signed, IRL party hat - we want you to dust off your crystal balls. A couple of weeks ago, we made a poll asking you for your favourite quests. Now, we want you to predict which of the 199 will win. Head to our Facebook page to enter. We'll reveal the top 10 quests in a video next week. Any questions? Check out the competition FAQ. We've opened up entries for a quest-themed Player Gallery. Create your interpretation of your favourite quest moment and send it to us to enter! Find details on the Players' Gallery thread. Don't forget, you can enter via email, or on Facebook, Twitter or Instagram, by uploading your picture with the hashtag #RSPlayerGallery. 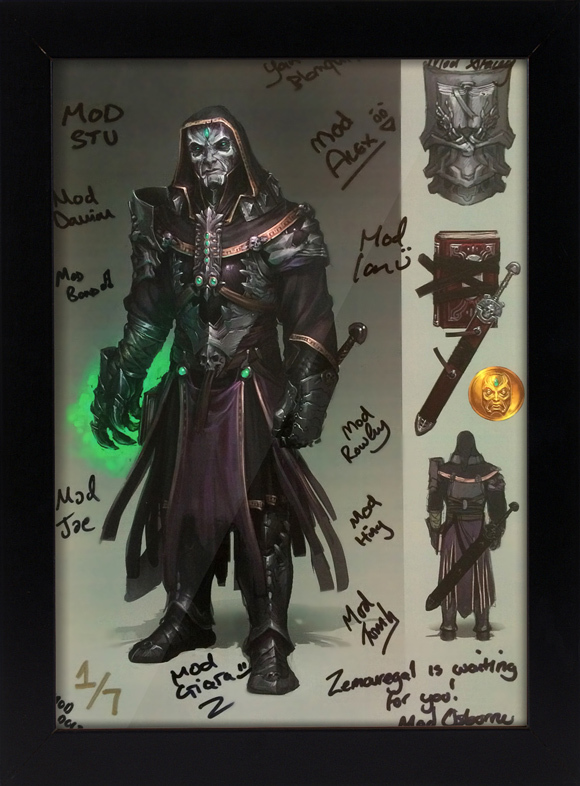 Prize: One of the seven exclusive, signed & framed prints, feedback from our concept artists, seven days membership, 200 RuneCoins, and an XP lamp. Ask Us Anything about Quests! With 199 quests, there's a heck of a lot to talk about. That's why we've set up two Q&A sessions for you. In the AMA, you can ask anything you like about RuneScape lore, as well as anything else about what makes up a quest – be it graphics, audio, narrative, QA or development. The live forum Q&A is on the 200th quest. For both, there'll be plenty of JMods on hand to take your questions. Forum Q&A: Wednesday 25th March at 18:00 UTC in the Lore Discussion forum. On Saturday 28th March, you'll have the chance to prove you're RuneScape's best quester. We'll be tracking the number of quest points gained from 00:00 UTC on Saturday 28th March until 23:59 UTC Sunday 29th March. The player with the most quest points gained will be crowned King/Queen of the Questival and will gain access to the Questival King or Questival Queen title - along with a whole host of other prizes! There are no-sign ups as we'll be tracking this for all players. If you're new to quests, then there's never been a better time to start. If you're a grandmaster, then get yourself a new account to maximise your chances - we'll add the title to your main account if you win! Visit the quest competition forum thread for more details. Celebrate RuneScape's quests in style with JMod events happening over the two weeks. If you can muster the courage, be sure to head along to the Broken Home mansion on World 23 at 15:00 UTC on Friday 20th March to take part in a Broken Home speed-run! It's our first re-playable quest, so even if you've completed it before you can still take part and prove your worth! Mod Lee's running a One Small Favour Hide and Seek event, today at 20:30 UTC on World 37. That's not all – we'll be running regular events throughout the week. Be sure to check out the JMod in-game events thread for full details. This reminds me I need to do soooooo many quests yet. I hope to get some done during this event. This all sounds fun. Can't wait to take part. OMG, I managed to get the first post! I am ultimate, um, thingie!!! *in before someone gets Ultimate Quester title, but Jagex messes up which main account gets it* Oh, I almost forgot. Training a new account to get the skills necessary to even attempt for the Ultimate Quester title is a bit too much for my taste, but good luck to all those who go for it. Training a new account to get the skills necessary to even attempt for the Ultimate Quester title is a bit too much for my taste, but good luck to all those who go for it. What if DIVINE ENERGY meets RUNES? On the day they focus on Questing they announce that this year they plan 6 quests the equal lowest with 2013 and 1 less than 2014. This after admitting the number of quests being released is unsatisfactory and after Jagex determined themselves that 8 pr 2 per quarter was the bare minimum of quests they'd be happy with. I want an explanation for this nonsense. You have the gall to put on these events as if you care about quests. Your actions regarding quests say otherwise. Cool. Nothing here for me since I've completed all but Heart of Stone quest. I'm definitely looking forward to the 200th quest, which I guess is coming out 2-3 days after my birthday. I'm hoping that the rewards are good for this quest, similar to Recipe for Disaster. Other than that, I enjoyed the infographic, or whatever they're called. While Guthix Sleeps is only long because you have to wait for the plant to grow, lol.